Beer and Wine O’Clock at Club Boutique Hotel Cunnamulla daily at 4pm come join us! Let your inner larrikin live at Club Boutique Hotel Cunnamulla. 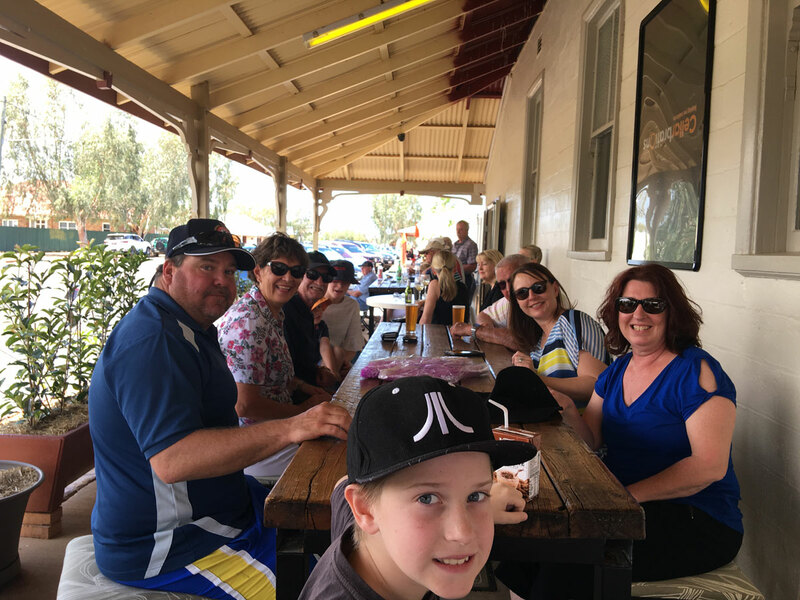 Join in the fun at one of Cunnamulla’s oldest hotels and an outback icon, to celebrate Beer and Wine O’clock. If the walls could talk you would hear near on 150 years of yarns about the Club, the larrikins who were drovers, mailman, shearers, coach drivers, bullockies and even royalty. It was the hub of town, a bustling centre for Cobb and Co.’s thriving passenger and mail coach service. At Club Boutique Hotel Cunnamulla, they have decided to make some of these characters come back to life by having a microbrewer brew some drops in their name and honour. Cunnamulla Characters Brewed is and outstanding range of craft beers that replicate some legendary Cunnamulla personalities into unique flavours. These flavours reflect the personalities of iconic outback characters and encompass centuries of tales, history, laughs and gestures of good will. They are just a taste of what’s to come! Join in the fun 4pm daily tasting and toasting to their memories as staff and the walls tell their stories. Cunnamulla Characters Brewed craft beer tasting four five ounces (148 millilitre) glasses of beer or wine. One Schooner Beer or one glass of wine of favourite from the tastings. Wine is Angove selection of reds and whites. Some entertainment, storytelling and a self-guided historical display. If you are looking for Cunnamulla accommodation Club Boutique Hotel offers great quality hotel suites and Safari Glamping options. The hotel Restaurant and bar is open daily for all meals and boasts a beautiful Australian menu.